In order to exit a For…..Next Loop, you can place the Exit For statement within the loop. It is usually used together with the If….Then statement. 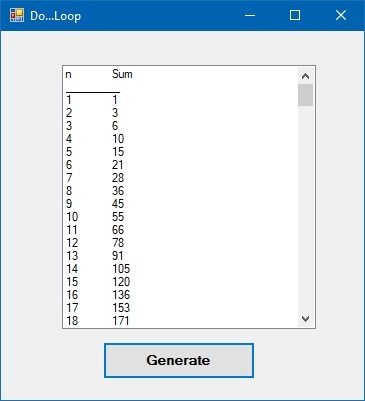 For its application, you can refer to example 15.1 d.
In this example, the procedure will generate two series in a list box. The first series starts with 1 and end with 100. The second series sums up the numbers in the first series. The process stops when it has repeated 100 times.